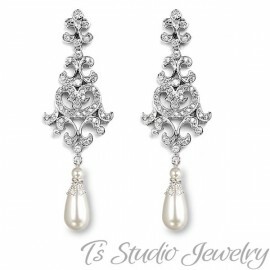 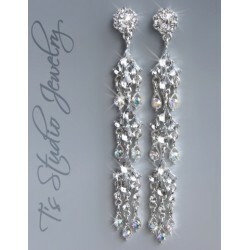 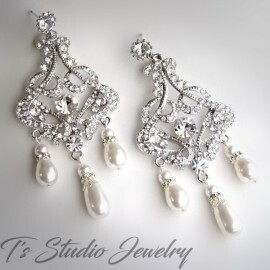 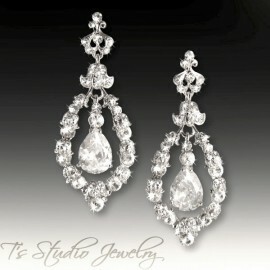 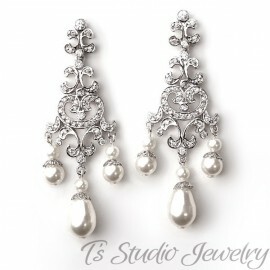 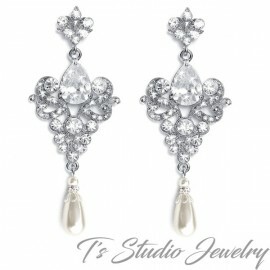 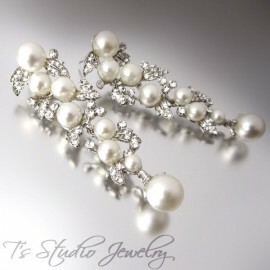 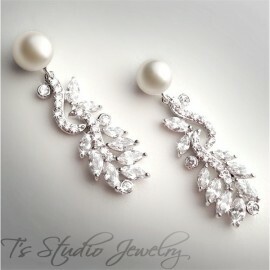 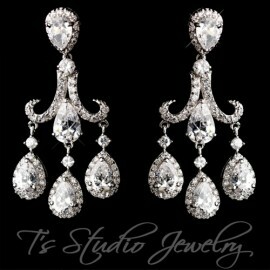 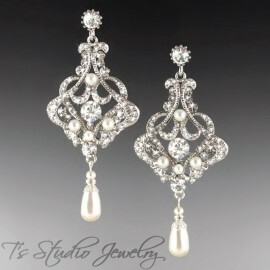 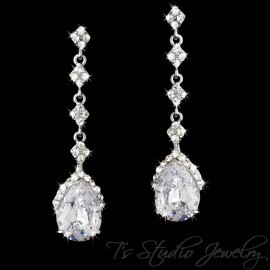 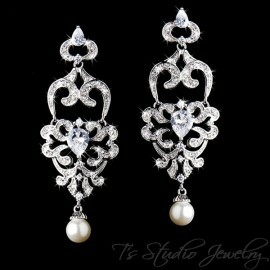 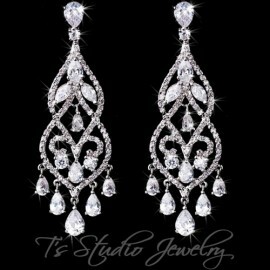 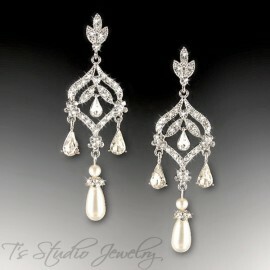 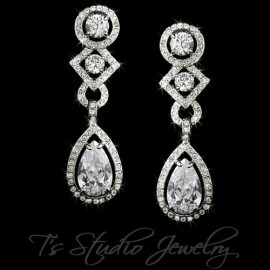 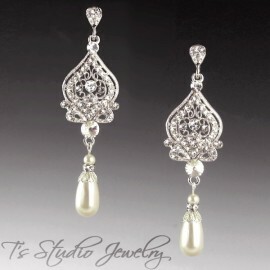 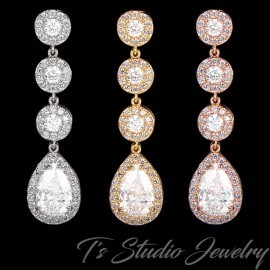 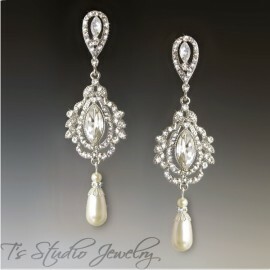 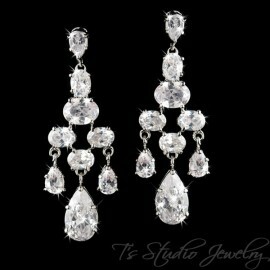 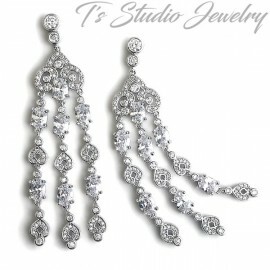 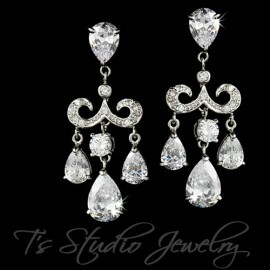 These earrings look gorgeous with any style wedding gown. 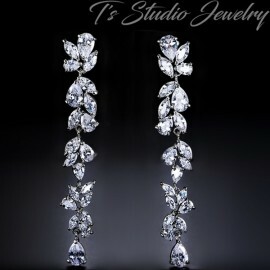 They look just as nice with a pair of jeans! 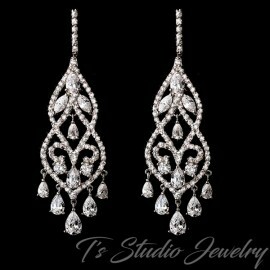 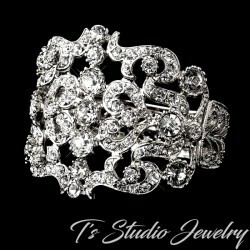 Made with links of clear triangle cut cubic zirconia stones, with a pear shaped stone at the bottom. 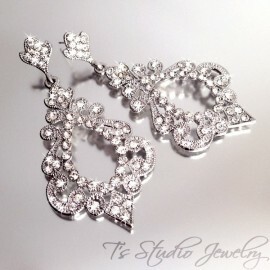 These earrings will be worn again and again and again.